In this episode, Luke talks with Marshall about his game Blume, his work with Leder, and just other general board gamey stuff. Episode 125 - Tony Miller; The Bearded Rogue Returns! Tony Miller comes back to talk about the back end of the wild Fire In The Library ride. We talk about the joy that comes from holding a game you made in your hands, the new season of Breaking Into Boardgames, and what songs Tony used to cover in his high-school band. 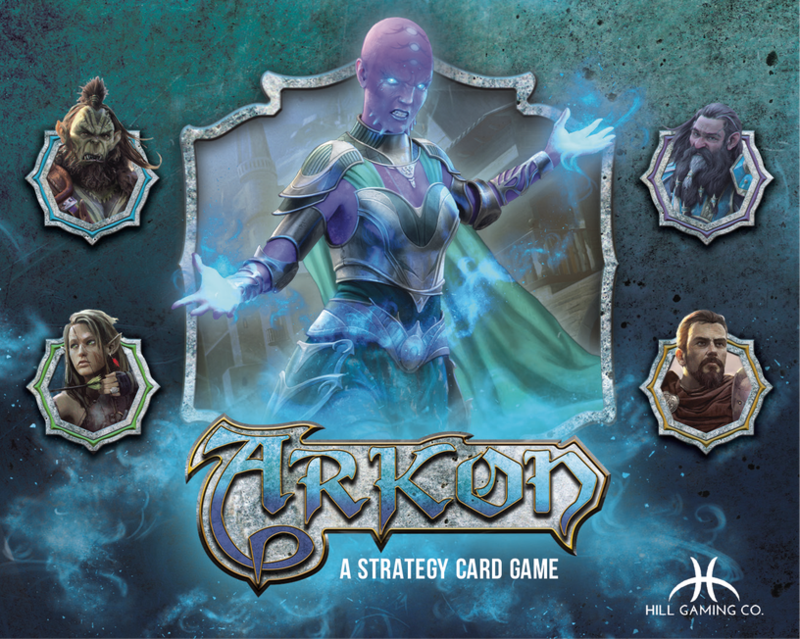 Last time Casey Hill was on the show, he was just about to launch Arkon, unsure where the project would take him. Now, he has a successful kickstarter and fulfillment under his belt and is ready to start working on some new projects, both Arkon and not Arkon related. We talk about the road that led him from there to here. Cole Wehrle may be the Pax Pamir guy to you, or the Root guy, but to me he is now the incredibly contemplative & thoughtful Leder Games Guy. I talk to Cole primarily about Root, but we spend some time chatting about Pax Pamir, Deep, his education, and how he got wrapped up in Leder Games. You can check out Root: The Underworld Expansion now! It wasn’t long ago that Trent was just making custom playmats, soon it was making games, then it was making one of the more exciting developments in the online gaming community, Board Game Atlas. Khiara is 1/2 of Enigma Emporium, creators of the hit puzzle post card mystery “Wish You Were Here”. They are back with their sophomore kickstarter, the sequel “Blowback”, and Khiara comes on the show to talk about the puzzles, the process, and the creative work that she most marvels at. Blowback is on kickstarter right now! Adam from Adam’s Apple Games comes onto the show so we can find out about our shared love for SNES JRPGs. Oh, and we talk about how cool Sword Crafters is, what got him into publishing games, and his upcoming project Thrive. 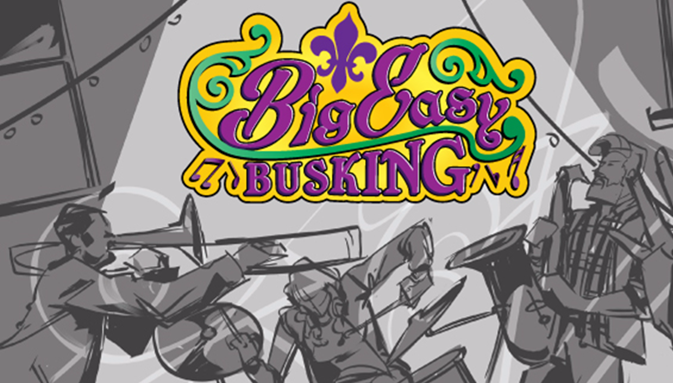 Joshua Mills comes on to the show to tell me about the most romantic tunes and the worst pitch he’s ever made, but mostly we talk about his new design Big Easy Busking, which is up on kickstarter though Weird Giraffe Games right now! The conclusion to my extra long episode with Chrisophe Boelinger. In it, we talk about the controversy surround Archipelago, Living Planet, the change of hands at Ludically, and their exciting new developments on the horizon. I am so thankful that I had this opportunity to speak with Christophe, who, while sometimes making some at-the-very-least naive decisions about the reactions to his craft, comes across as a genuine, caring person who wants to make the world a better place. You may know Chrisophe from his hit designs like Dungeon Twister, Earth Reborn, Archipelago, or the upcoming Lost Planet; or maybe you are familiar with him as the founder and co-owner of Ludically. Either way, I don’t think you were expecting this interview, and neither was I. I anticipated about 40-60 minutes focussed on game design, some tough questions about Archihpelago (one of my favorite games), and maybe some discussion about his other pursuits like music and winter sports. While we certainly got all that, it went places. Rather than chop it down, I’ve decided to put up the whole shebang, but in two parts. Here is part 1, and part 2 will go live next week. 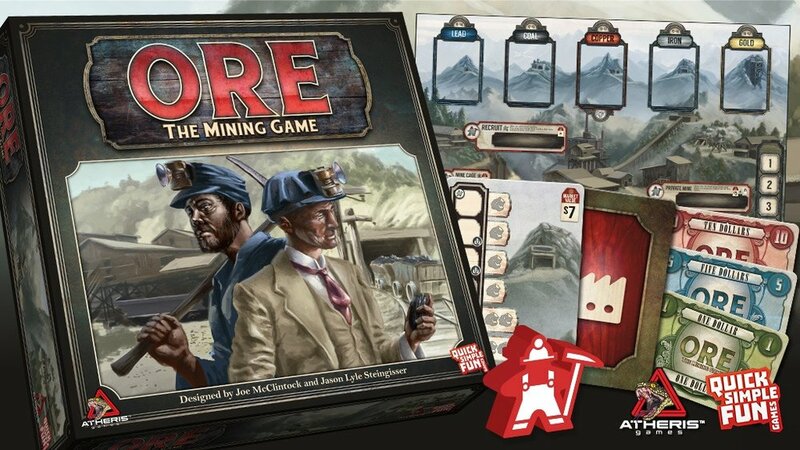 Joe and Jason take a few minutes to talk with guest host Andrew Birkett about the development of Ore, what led them to hear, and plans for the kickstarter which is live right now! Disclaimer: Andrew is the owner of Atheris Entertainment, which is assisting with the kickstarter process of this game. I take some time to talk with Maggie Clayton, one of my favorite people with one of my favorite publishers in the hobby. We talk about the challenges of growing a brand while sticking to your principles, aspirations of Greater Than Games, and what got her into this biz in the first place. 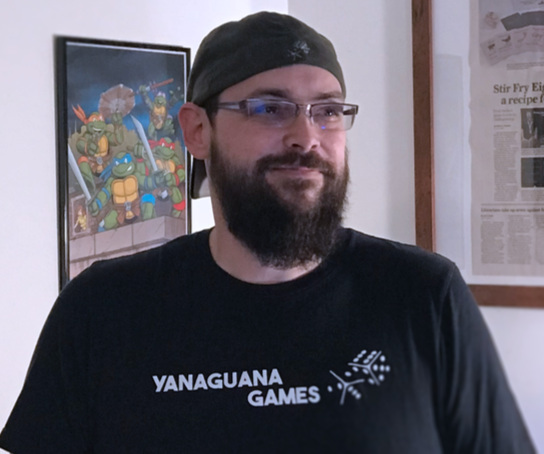 Steven Aramini started designing games in 2014, but his projects took off this last year and now his design “Animal Kingdoms” is the debut kickstarter of Galactic Raptor Games, the joint venture between Carla Kopp of Weird Giraffe Games, and Dan Letiman of Letiman Games. If you are listening when this podcast debuts, Animal Kingdoms is up on kickstarter RIGHT NOW! Mr. Cuddington is one of the hottest design entities in the industry, and many people don’t know that this singular entity (not studio) is two people - David Forest & Lina Cossette. In one of my favorite episodes to date, we talk about design, influence, Akira Toriyama, and not getting pigeonholed into doing one type of thing. Rita Orlov makes her return for a short conversation at the TCbH PAX Unplugged HQ. We talk about conventions, escape rooms, and the next big project from PostCurious. Here’s episode two of our PAX Unplugged 2018 content, featuring Carla and Nick Kopp of Weird Giraffe Games, Sean Epperson of Thing12Games, David Smith of Winsmith Games, and Rob Conley of Ginger Cat Productions. PAX Unplugged was fantastic and I got a chance to talk with so many cool people! This episode features the Adam Johns and Adam Davis from Game to Grow, Eddy Webb of Onyx Path Games, game designer Julia Nazario, Ariel Burkhurst of White Wizard Games, and Matthew Kroll of Greater Than Games. We’ll have 3 episodes featuring different types of coverage ranging from these mini interview compilations to a big group interview akin to what we did last year. 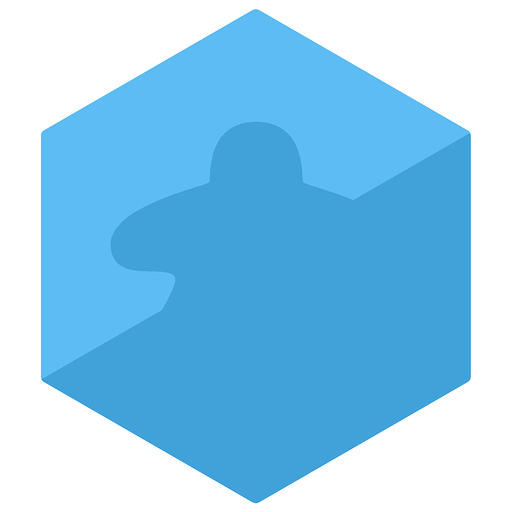 Jack is joined by fellow podcaster Gabe Barrett of the wonderful Board Game Design Lab podcast. 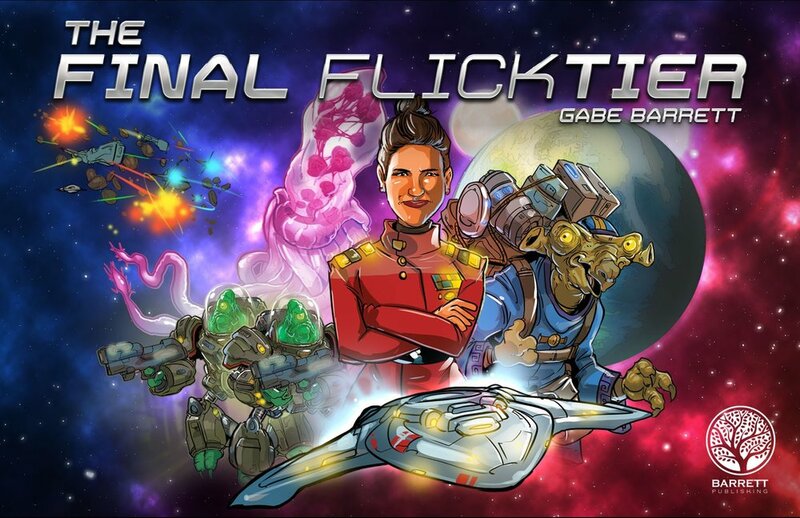 Gabe has made his kickstarter debut with the wonderful sounding dexterity 4x “Final Flicktier”, which is on kickstarter right now. Come for the game, stay for the illicit platymoose trading. It's one thing to make a game with a fresh new take on worker placement, it's a whole other thing to be legitimately funny while doing it. 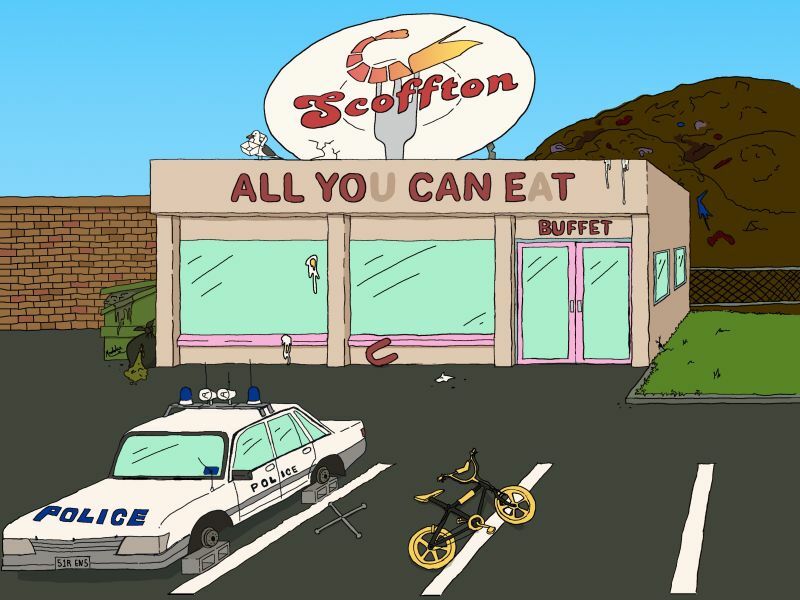 I talk with the Vamoose Co boys about their experience as Australian creators, the importance of eating poorly, and the storied history and development leading up to Scoffton's kickstarter, up right now.